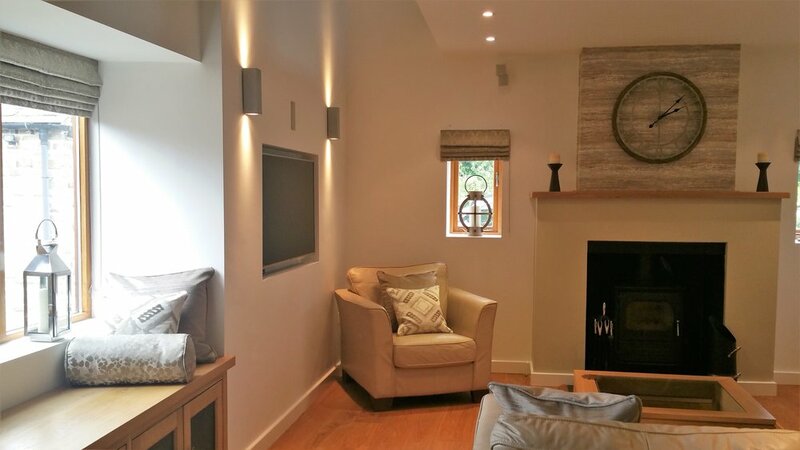 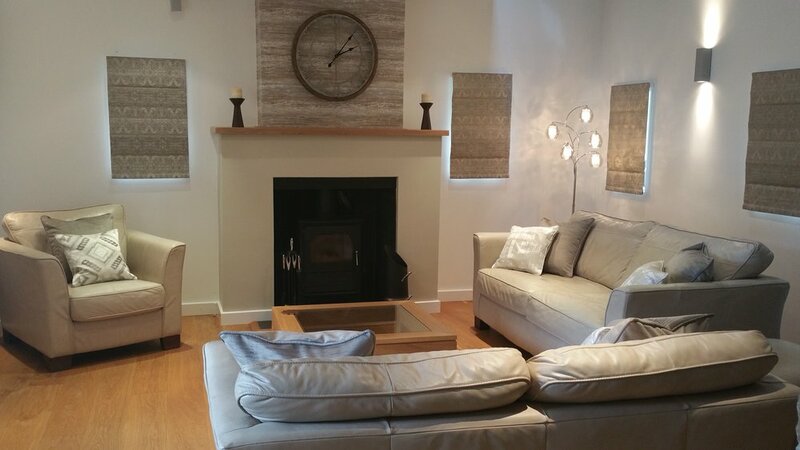 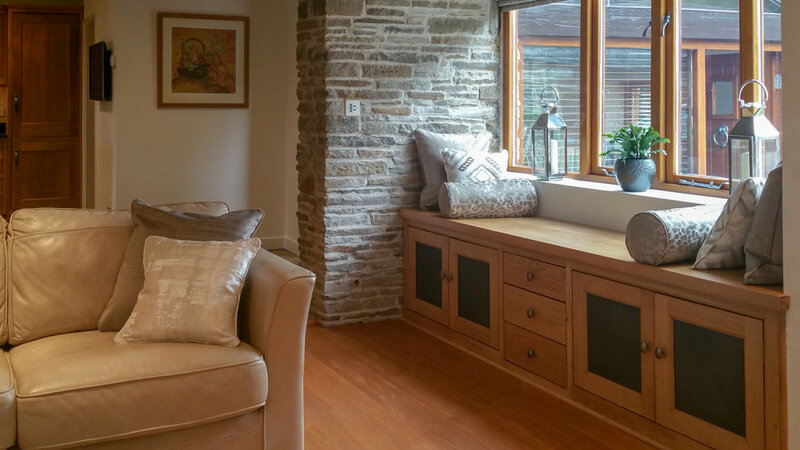 The owners of this stunning barn conversion already had a beautifully decorated and finished living room, however it was felt that the soft furnishings and window dressings needed updating and refreshing. 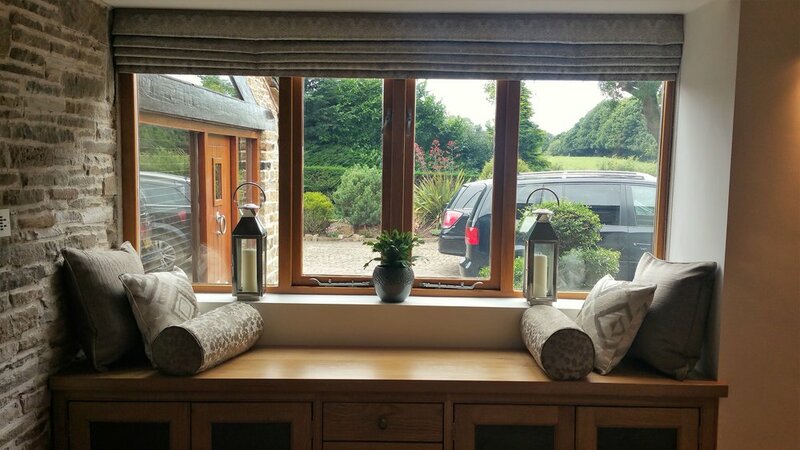 After visiting the property for an initial consultation, a second visit was arranged with a selection of possible fabric options for blinds and cushions. 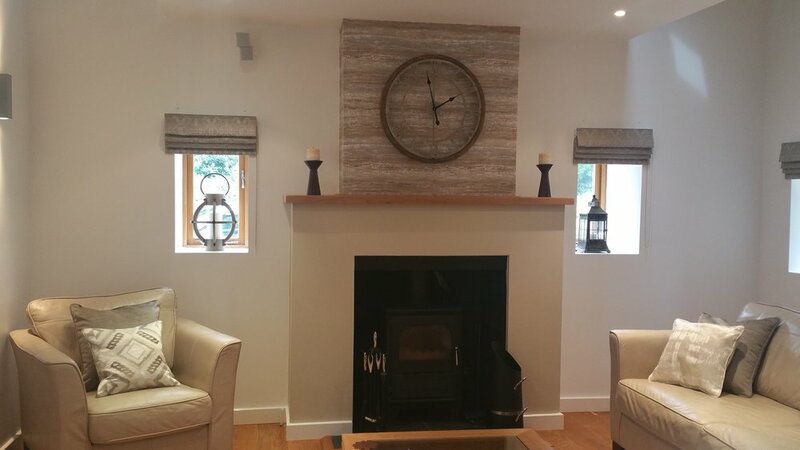 We then assisted the client with the final decision on which fabrics to use and where. 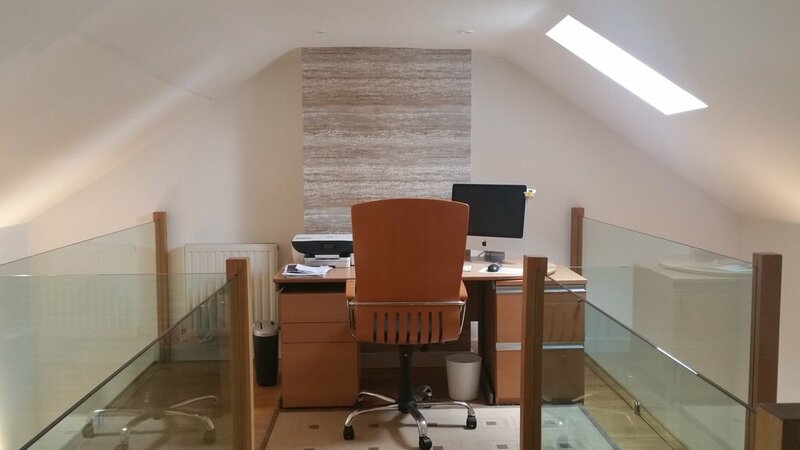 We also added a small mount of wallpaper on the chimney breast for a little added extra interest and carried it though to the first floor mezzanine level.